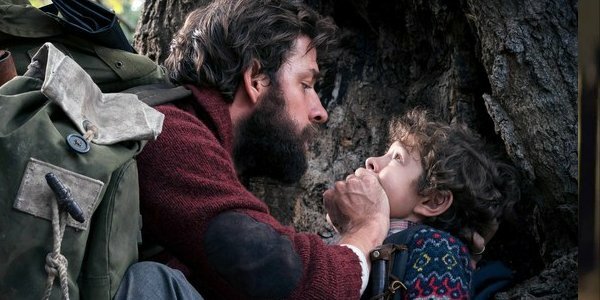 With A Quiet Place arriving on home video this month, I recently had the opportunity to hop on the phone with Andrew Form to talk about all of the movie’s success and its new life out of theaters. During the conversation I made a point of how fun the film was to see with a constantly-gasping audience, but queried as to how he felt the work would be viewed by audiences in their respective living rooms. He explained that part of the reason he was personally excited for the experience is because watching horror is totally different when you’re all alone versus sitting in a public auditorium with a crowd of 300-plus. The sad reality is that there are going to be many people who try to catch up with A Quiet Place on their phones with a pair of ear buds, but hopefully that won’t be the majority. There is a fine craftsmanship in the filmmaking, and as mentioned above, it deserves to be experienced in the best way possible. Not everyone has the same means to accomplish that, but a start would be a bit of isolation, the lights turned off, and the speakers turned up real, real loud. Said experience is now on the table for everybody, as A Quiet Place is now available on home video in all formats: digital HD, Blu-ray, and DVD. If you haven’t already seen it, be sure to give it a watch, as it’s a film that we will surely be talking about a lot in the months and years to come.